Sure Champ EVERY. DAY: Just like a human that takes his or her daily vitamins and supplements to stay healthy, your livestock need the same daily care. Sure Champ products proactively work to assist with the challenges created by the show environment. All Sure Champ products contain Amaferm® a precision-based prebiotic designed to enhance digestibility by amplifying nutrient supply for maximum performance. Vita Charge During Stress: Show animals are under constant stress, and it is almost certain their digestive system will be compromised, or they will go off feed at some point in their lives. Being armed and ready with Vita Charge is an excellent way to combat those stressful times and ensure your livestock are back on feed fast. These helpful guides can be found on the Sure Champ website at www.surechamp.com and then clicking on the individual specie silhouettes on the homepage. 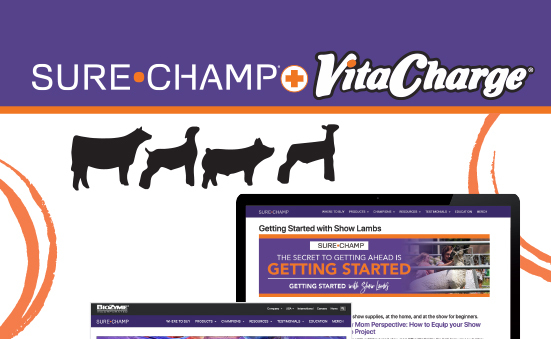 We have many other great resources for to provide to your show livestock customers to help them learn more about the Sure Champ + Vita Charge products and how to be successful with their show project. Prep to Win Videos How-to videos that will help your customers “prep to win” in the ring with their cattle and pig show projects. Join our community of over 100,000 followers to get the latest education and product information. • The Amaferm Advantage: Amaferm is a precision-based prebiotic that is research-proven to combat heat stress. It also helps stimulate appetite, increase feed digestibility and maximize nutrient absorption. • Capsaicin: Capsaicin, a unique blend of clove, cinnamon and chili pepper, keeps cattle eating smaller meals throughout the day while also acting as a vasodilator to mitigate the effects of endophyte positive fescue. Also proven to increase water intake. • Garlic: Garlic acts as a natural insect repellent as the smell repels insects through breath and skin excretion. 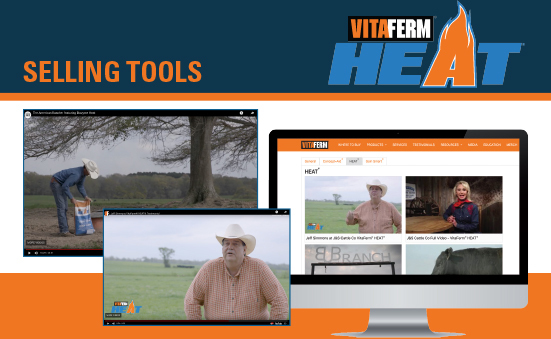 Video testimonials and two American Rancher shows featuring VitaFerm HEAT are available on the media page at www.vitaferm.com. • Increases Feed Digestibility: The digestibility of feed determines the amount that is used by the animal for growth, reproduction, etc. Essential nutrients in the form of energy, proteins, minerals, vitamins and water (above those necessary for maintenance of normal body functions) must be not only provided to the animal, but digested if the animal is expected to maximize performance. • Maximizes Nutrient Absorption: Absorption is the movement of molecules across the gastrointestinal (GI) tract into the circulatory system. Most of the end-products of digestion, along with vitamins, minerals and water are absorbed in the small intestinal lumen by four mechanisms for absorption: (1) active transport, (2) passive diffusion, (3) endocytosis and (4) facilitative diffusion. • Granular – (Pure Amaferm®): To be added into low inclusion products for proper mixing. • Liquid – (Pure Amaferm®): Liquid direct from fermentation. • Pellet – (Digest More®): To be added into higher inclusion products for proper mixing. • Higher inclusion pellet for grain mixes in feed manufacturing; sweet feeds, show feeds, etc. The new Amaferm website is now available by visiting www.amaferm.com. • The Amaferm Advantage: Amaferm is a precision-based prebiotic that provides more intake, feed digestbility and nutrient absorption resulting in amplified breeding performance of the cow. • High Vitamin E: Contains high levels of Vitamin E shown to assist in reproductive tract repair, clinical mastitis, improved milk quality and egg cell wall integrity. • 57 Times More Stability: Contains OPTiMIN® , proteinated trace minerals for 20% greater availability to the cow than inorganic minerals and 57 times more stability than other organics. OPTiMIN uses more points of attachment for greater stability. 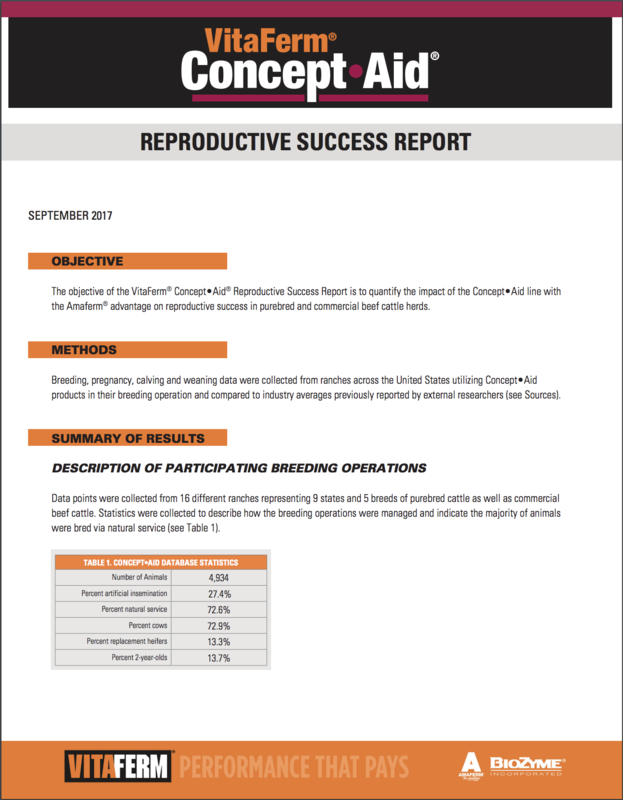 The Reproductive Success Report is a study of reproductive success in the areas of conception rate, calving rate and weaning weight of actual herds that fed VitaFerm Concept•Aid. If you have customers that feed Concept•Aid please encourage them to submit their cowherd data so that we can continue to refine this data year after year. With so many different formulations of Concept•Aid, many customers are not sure which one to choose. To help we’ve created a quiz that asks a variety of questions about their environment and feeding situation. Based on their inputs, it recommends an appropriate Concept•Aid formula for them. We’ve added a gestation calculator and printable gestation table to our website to better serve our customers. In addition to calculating date of birth, it also calculates dates that we recommend feeding Concept•Aid. Use this tool to show your customers the additional advantage per calf they can expect from feeding VitaFerm. In a day and age that caters to individuals on numerous levels, it can be a challenge to find something that satisfies the needs of many. But, for people caring for and hauling show livestock, they only need to look to one supplement line to make sure their animals’ digestive system is kept in check and the animals stay on feed and water. Vita Charge® is a multi-species livestock supplement that provides a powerful dose of vitamins, B vitamins, MOS and the Amaferm® advantage for those stressful times when livestock need protection or assistance in recovery. Amaferm is a precision prebiotic designed to enhance digestibility by amplifying the nutrient supply within for maximum performance. MOS traps bad bacteria limiting their ability to do harm. Because Vita Charge comes in different forms, it is easy to use in a variety of situations and for every specie. Vita Charge is available in a paste, liquid and tub form. Vita Charge Paste and Vita Charge Liquid Boost® are both great supplements to give your new show projects whenever you bring them home. Liquid Boost can be mixed in the water, added to a medicator, top-dressed on feed or used as a drench. Trey Miller, TKM Livestock in Amanda, Ohio, buys and sells numerous lambs throughout the year. He knows that keeping their digestive system healthy is the key to keeping them performing. He is a firm believer in the Vita Charge products and administers 5-10 mL of Vita Charge Paste to new lambs as soon as they get them to their new homes, just to get them started on the right foot. Not only are the products ideal to use when acclimating livestock to their new environments, both Liquid Boost and Vita Charge Paste are very portable and make great companions on the show road to make sure livestock stay on feed and water during times of stress. “We always use the Vita Charge Paste when we are hauling to a show. It helps our goats stay on feed and keeps them feeling good while we are at the show,” said Nebraska-based goat exhibitor Sheldon Johnsen. Often times, people will start on the Vita Charge products a few days before they leave for the show, to help eliminate any stress associated with travel. It is recommended to use the Vita Charge products during the duration of the show. The third option is the Vita Charge Stress Tub, designed specifically for cattle. The tubs are a convenient way to make sure your calves get their daily dose of Vita Charge, keeping them on feed and water, without extra handling. They come in two sizes, 200 and 50 pounds, making the 50-pound tub convenient enough to haul to shows and keep in front of your calves either in the stalls or in tie-outs. “Our family truly believes in having Vita Charge stress tubs in our pens and while traveling at all times. The tubs mixed with Sure Champ® Climate Control have helped keep the stress off our cattle immensely during the hot days and long hauls,” said Taylor Goering, McPherson, Kan., who travels to numerous shows throughout the year. Finding a product that is adaptable across multiple species, is easy to use and will help your livestock recover from times of stress, keeping their digestive health in check, sounds like the impossible. 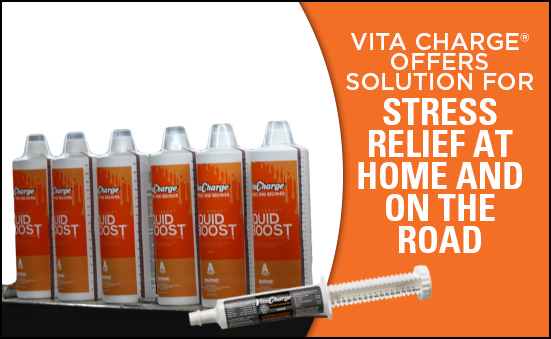 But with products from Vita Charge, you can accomplish great things with your animals both at home and on the show road. Even though the first few weeks of fall have just “officially” passed, it is never too early to begin thinking about winter. It seems like producers and meteorologists alike have been discussing that this winter could be bitterly cold and snow covered, and if you are one of the many people who refer to the Farmer’s Almanac, you are probably already planning ahead. Hopefully those plans include a high-quality nutritional supplementation program for your cowherd. The winter is when your cows will perform some of their hardest work for you. They are in their last few months of gestation and getting ready to calve as breeding season approaches. And often do all this while Mother Nature is at her harshest with sub-freezing temperatures and extra moisture flying about. Although this is the time of year when producers will start looking for a way to cut some expenses, those costs shouldn’t be cut in the way of cow nutrition. According to Kansas State University research, mineral only accounts for less than 4% of the total cow cost per year, whereas roughage is nearly 13% of the total cow cost. When you consider the return on your investment for feeding a high-quality mineral like VitaFerm, that investment pays big dividends. Proper nutrition of the cow, especially during the last trimester, plays a key role in the development of the calf and ensures its survival once it is on the ground. During the third trimester, the fetus is being prepared for its life outside of the womb – the most rapid growth of the calf occurs, and the lungs mature, getting it ready for delivery. All nutrients play a pivotal role in fetal growth and development, but it’s a matter of providing enough of the “right” ones at the “right” time. Energy and protein are the most common considerations when assessing a nutrition program during gestation as they are usually the most limiting nutrients. However, don’t take a good vitamin and mineral program for granted. Metabolism and many other fundamental bodily processes rely on adequate macro and trace mineral supplementation. These nutrients play an important role in bone formation, hormone development and secretion, enzyme function and more. Trace minerals known to have a significant impact on reproduction and subsequent calf health are zinc, chromium, selenium, iron and manganese. Sufficient trace mineral supplementation ensures proper growth of the fetus and plays a key role in colostrum quality and immunoglobulins produced. A cow’s nutrient requirements in early gestation aren’t terribly different than her daily maintenance requirements, but as fetal growth increases so does the rest of her nutritional needs. During this time, you aren’t just feeding the cow, you are also feeding her growing and developing calf. Once a cow enters lactation, she will need a much higher level of protein and energy. If her feeding program isn’t meeting her needs she will begin to pull condition off her back to continue providing for her calf, and her performance will begin to lag. You will also need to feed a first-calf heifer or second-calf female much differently than a mature cow. A young pregnant female that is still growing needs more protein than a mature cow. If there aren’t enough nutrients for the heifer and her growing fetus, she will use what is available first to meet her own growth and maintenance needs. To be sure that your cows are receiving adequate nutrition, provide them a high-quality supplement like VitaFerm® Concept•Aid® . The high vitamin and mineral fortification caters to the heightened nutrient requirements of the cow during the last trimester and early lactation. BioZyme ® utilizes proteinated chelated minerals, the highest quality and most stable bioavailable trace minerals on the market, and high levels of Vitamin E in all their Concept•Aid products. In addition to a suite of vitamins and minerals, Concept•Aid includes Amaferm® , a precision prebiotic designed to enhance digestibility by amplifying the nutrient supply within for maximum performance. It is research-proven to increase the energy available to the animal resulting in more milk production as well as to the ability to initiate and maintain pregnancy and fertility. Concept•Aid is available in different formulations to complement different forage types and qualities to maximize animal performance. BioZyme also offers Concept•Aid in a tub for added convenience, and multiple protein options to meet protein requirements during specific stages of production. Final fetal development in the third trimester is important to getting a live, healthy calf on the ground. Make sure your cows are ready in that final trimester to deliver a healthy calf that will grow, gain and put profit in your pocket. 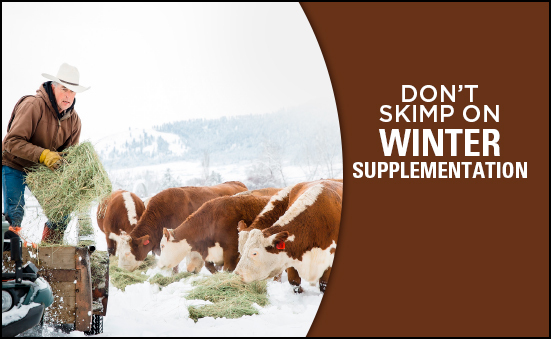 Take the steps to provide the right nutrients at the right time and be sure to give your calves the nutritional advantage they deserve. Typically, by late August all the hay is put up, has had time for the moisture to level out, and it is an ideal time to start testing hay for nutritional content. Kevin Glaubius, Director of Nutrition for BioZyme® Inc., offers some key advice to identifying the forages you have on-hand and getting them tested. First, Glaubius said it’s important to identify your hay by a lot number so you know which test results are from which lot. Glaubius said a lot is defined by the field and the cutting it is from. For instance, a lot from the second cutting from field one would be named Lot 1-2. A first-cutting sample from the third field would be 3-1. It is important to identify the lots when you haul them from the field and store them and continue to know where they are kept. A year of drought like this year, might result in only one cutting, therefore all lots would be dash one, or you could just name the lots by field name or number. Once the lots are identified, it is time to collect samples. Hay testing and ration balancing are complimentary services provided by BioZyme. Contact your Area Sales Manager or local BioZyme dealer for assistance in collecting the sample. Having an accurate sample is the key to a successful sample. Glaubius recommends taking 10 sub-samples from each lot and mixing them together to get one sample to submit. Once the Area Sales Manager or dealer submits the forage for testing, the results are typically generated within a week, indicating any deficiencies in energy or protein. In addition to knowing the nutrient content of your forages, it is also important to know the amount of each lot of hay you have when working with the BioZyme Nutrition Team to plan your next steps. “We need to know the number of bales you have in each lot, so we can help you plan. We look at number of cows you have compared to the amount of forage available, and plan for estimated intake. We want to ensure you are using the right product, a protein mix to supplement, either from BioZyme or from your local grain elevator. That way, you don’t have to guess if it is time to start feeding protein or extra energy,” Glaubius said. After the tests are analyzed and interpreted and the protein and energy needs are determined, there are four key ways to supplement proteins using the Amaferm® advantage. Amaferm is a precision prebiotic designed to enhance digestibility by amplifying the nutrient supply within for maximum performance. 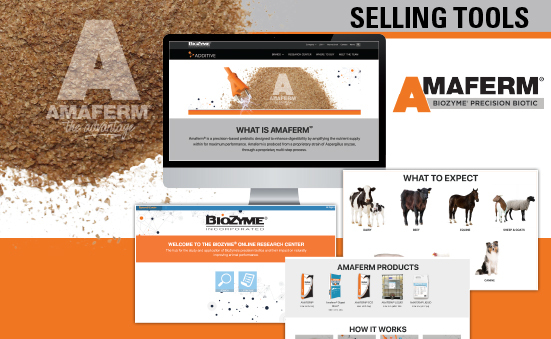 Feed mineral with Amaferm. Get the most out of what your cows are consuming by increasing intake and digestibility. This is the least expensive option at approximately 5 cents per cow per day. Feed VitaFerm® Concept•Aid® Protein Meal. This is a granular, free-choice mineral. In addition to the mineral, supplemental protein is provided. 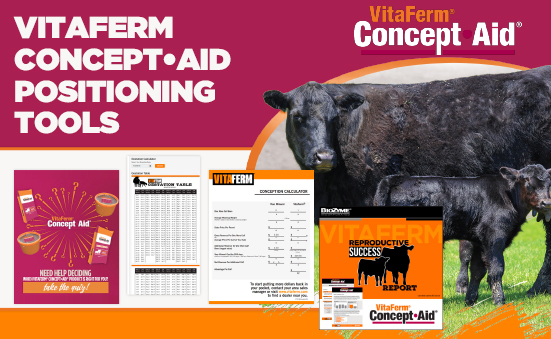 Feed VitaFerm Concept•Aid Protein Tub. The tub provides the same nutrition as the protein meal but adds the convenience of the tub form. Feed VitaFerm 30-13% Protein Tub. This VitaFerm product offers the highest level of protein, but vitamin and mineral levels for maintenance during times of year when nutrient requirements are not as high. Forage testing is a management practice that helps you plan ahead to make the best nutritional decisions for your herd. 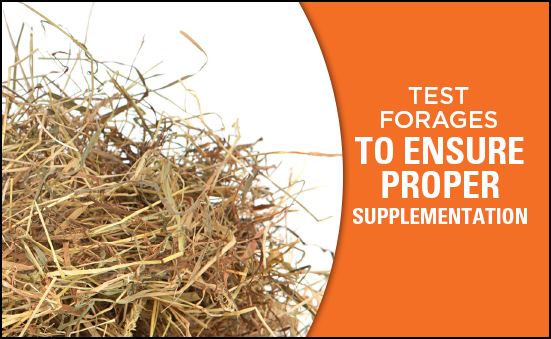 Testing now will help you know which forages you need to feed during which stages of production and the proper amounts of protein and energy you need to supplement during those times. The more you know, the more money you could save your operation. Summer heat can be tough on show livestock – or any livestock for that matter. Heat stress causes increased respiration rate, suppressed appetite, fatigue and dehydration, all signs of a lowered immune response. When we think about these traits and the way they impact production, it becomes very evident that the strenuous expectations we put on show livestock to perform at the highest level and look exceptional while doing so clearly becomes a challenge. We typically think about heat stress in extreme temperatures; however, the reality is that anytime the temperature exceeds 70 degrees livestock are adversely affected. It is imperative to follow best practices and implement some simple, but important steps to ensure fewer setbacks due to heat stress and in turn, experience greater success with our show livestock projects. Be proactive. Watch the weather and make wise decisions. It is a lot harder to bring down livestock’s body temperature once they are hot than it is to manage it before it rises. Manage your facility to make sure it is comfortable for your animals. Be sure your animals can get to shade. Whether your facility at home has fans, misters, or even an elaborate cooler, controlling airflow is crucial. Keeping bedding wet down and misting water in the air will also help cool the air that fans push through your facility. Modify your feeding program to accommodate cooler periods. Just like humans, livestock don’t want to eat when it is extremely hot. Feed earlier in the mornings so they have a chance to eat and be moved into the barn before it gets hot. Also pay attention to the location of their water supply. Smaller troughs provide more water flow and result in cooler water. Make sure lines that serve as water sources are not exposed to sun and heat resulting in the water in the lines to get extremely hot. Rinse animals with cool water to help drop their core temperature. When rinsing, focus on cooling their underline and head as it will help cool them faster. Don’t just get them wet but allow cool water to run over them a while to help drop their body temperature. In extreme heat, rinse multiple times daily. Plan ahead. It doesn’t take long for livestock to feel the impact of heat stress when they are removed from the comforts of a temperature-controlled environment. It is essential to think about this prior to leaving for a show. For cattle that have been kept in a cooler it is very important to raise the temperature of the cooler a week to 10 days ahead, every day slowly increasing the thermostat to help them acclimate. Taking them straight from a cooler to a hot show will cause extreme stress which will ruin your opportunity for success. Use Supplements. Sure Champ® has developed products to help your animals regulate their body temperatures, naturally. Sure Champ Extreme with Climate Control is a daily top-dress supplement that is formulated for cattle, hogs, sheep and goats and designed to help eliminate heat stress in the animals due to increased temperatures, high humidity or extreme shifts in temperatures or climate. In addition to Amaferm®, a natural prebiotic that helps maximize the nutritional value of feed, it contains plant extracts that support the animal’s ability to maintain normal body temperatures. Extreme also contains garlic, a natural insect repellent. 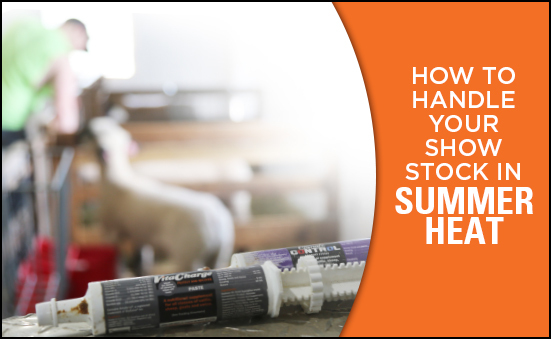 Sure Champ Climate Control Paste helps all show livestock species handle heat stress by lowering the animal’s body temperature in a safe, fast and natural way. We suggest starting the paste a week to 10 days before a show and keeping livestock on the paste through the show to keep them more relaxed, cool and comfortable, resulting in better appetite and higher energy levels allowing them to look their best on show day. Strategically plan when you haul to shows. Hauling at night is the most ideal to help reduce the time they will be exposed to the heat of a trailer. Make sure you have adjusted ventilation on trailer to allow for adequate air flow while traveling. Once you arrive to the show it’s critical to maintain the same schedule of caring for your stock. Continue to feed early and maintain body temperature by keeping animals rinsed regularly and under fans. Heat stress can be a challenge at shows but can be turned into an advantage for those who prepare properly. Stay positive, stay cool and prep to win! Cattle producers go to great lengths to do whatever it takes to get their cows bred. But what about after? Keeping a cow bred, especially during the summer months, can be equally as challenging. Typically, if a fertile bull breeds cows at the correct time, fertilization rates should nearly reach 100%. However, normal single-service conception rates run anywhere from 60-80%. The 20-40% difference must come from embryonic or fetal loss. Loss of pregnancy can result in longer calving windows, lower weaning weights and less profitability for producers. Oklahoma State University conducted some of the first research on the implications of heat stress on pregnancy rates. Those studies found that when cattle were bred at cooler temperatures, but then exposed to moderate and severely hot temperatures, their pregnancy rates were decreased by as much as 50%. Furthermore, they found that the surviving fetuses were smaller in heat-stressed cows and were more likely to be lost later in pregnancy. Cattle can experience heat stress once the ambient temperature outside reaches 70 degrees or higher. This means that their upper critical limit for temperature is lower than that of humans. Humidity also can accelerate the implications of heat stress because of their inability to dissipate heat effectively. Therefore, stress can increase pregnancy loss well into the second and third trimester. For spring calvers, calves are weaned and cows are worked in what is typically the hottest months of the year. In the case of fall calvers, these females may calve earlier than expected due to prolonged periods of heat and drought during the third trimester. Be sure to give special considerations to bulls as well during the summer months. Heat stress can affect spermatogenesis (sperm production) and won’t show up until 45 to 60 days post heat stress. Other factors such as fescue and fescue toxicosis can compound the effects of heat stress. The endophyte found in fescue, which can ultimately lead to fescue toxicosis if proper management isn’t implemented within an operation, limits a cow’s ability to dissipate heat because it reduces blood flow to the skin. If cows and heifers are exposed to diseases they don’t have the proper immune defenses against, the addition of stress from excessive heat can leave them virtually defenseless against sickness. 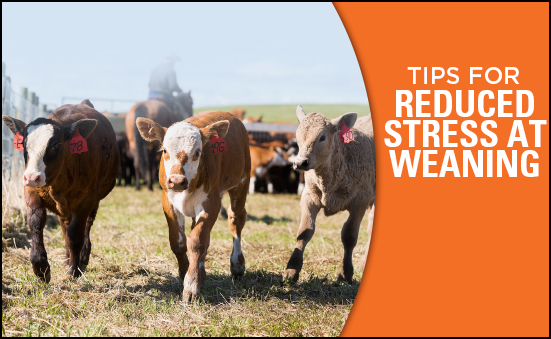 Heat stress decreases grazing and feed intake and in drought situations, malnutrition and resulting dust will result in increased respiratory illnesses and potentially loss of pregnancy. To help alleviate the implications of heat stress and help keep cows bred, producers can provide a multitude of management techniques to lessen the effects of heat stress. Always provide enough cool, clean drinking water. High temps can double water intake. Increased urine output can deplete bodily mineral stores, so be sure to provide a high quality mineral source at all times. Ample shade will provide relief from heat stress without too many animals gathering in a small area and compromising air flow. Make sure all buildings have adequate ventilation, especially if cows are confined. Wetting via sprinklers or hoses can effectively cool cattle. But pay attention to droplet size; misters just add more humidity to the air. Good fly control can go a long way. To combat flies cattle will bunch and lower air circulation, resulting in elevated heat stress. Avoid working cattle during the hottest hours of the day. The earlier in the day, the better. Depending on the region of the country in which you reside, incorporating more heat tolerant genetics can improve the end product value or overall profitability. Producers invest a lot of time and resources to get their cows ready for the breeding season. Significant heat stress can result in loss of pregnancy, and bottom line, open cows don’t result in profitable operations. 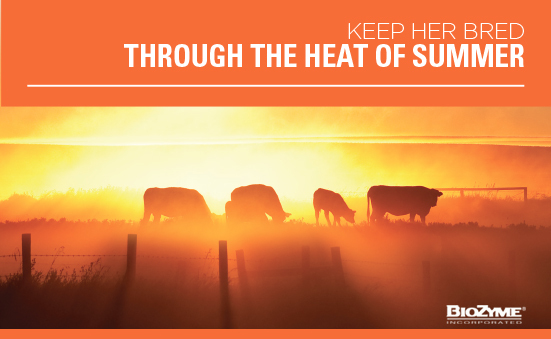 Go the extra mile to lessen the negative impacts of heat stress and help keep your cows bred during the summer heat!